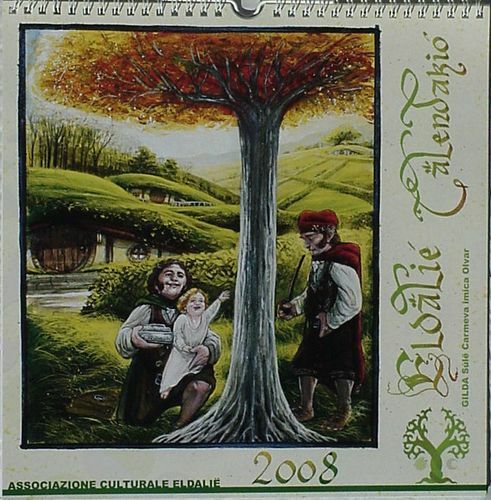 Issues from Eldalië, Ticino Smial of the Swiss Tolkien Society. Unfortunately, the parent group has disbanded. 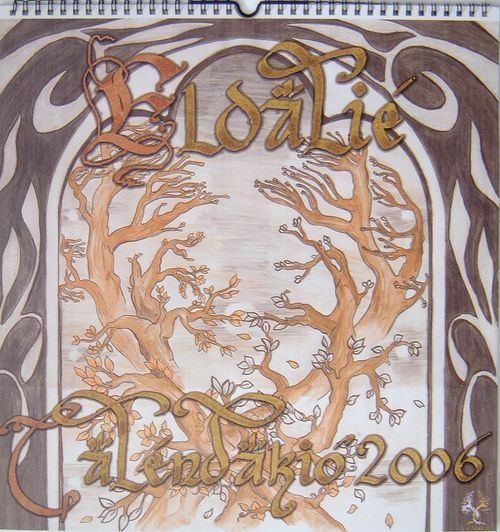 Fortunately, Eldalië has an active group of members as evidenced by the fact that they have now published five calendars. 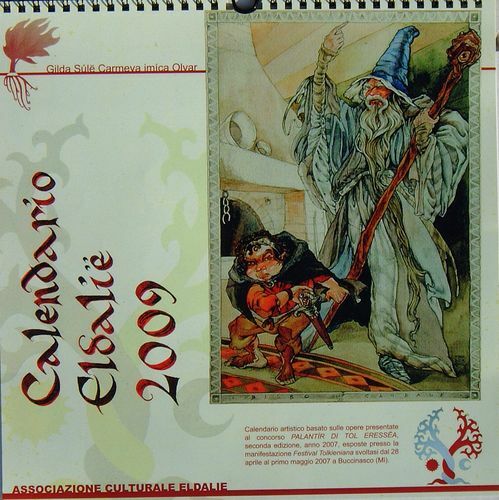 “Eldalië Calendario 2009" Published by Associazione Culturale Eldalië, Swiss Smial (Ticino) of the Swiss Tolkien Society. Illustrations by various artists. Dimensions: 11 x 11.25 inches (w x h); white wire bound; 16 pages. 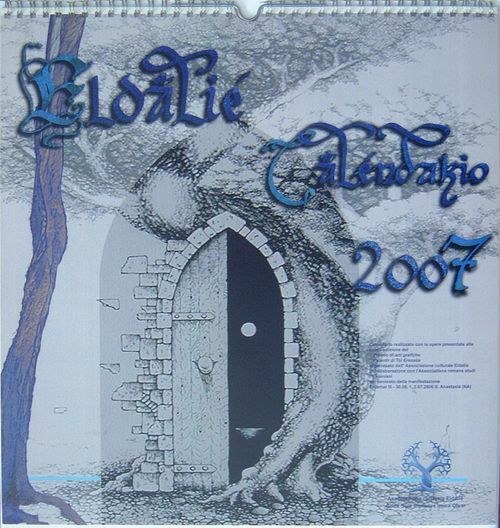 “Eldalië Calendario 2010" Published by Eldalië, Swiss Smial (Ticino) of the Swiss Tolkien Society. Illustrations by Dimensions: 12 3/4 x 13 1/16 inches (w x h); wire bound.